« Ghosts and goblins, mummies and monsters! Oh my! Guac to go, Not so! Well hello there! Has everyone recovered from a wonderful Trick-or-Treat? I don’t know about yours, but both my children were in near diabetic comas yesterday morning from all the fabulous loot they got their hands on Sunday night. And, while the children had a ball with their candy, the adults parked around my kitchen table did not fare too badly either. Everyone seemed very happy with their glass of wine and guacamole-lots of it. Oh, and I had chili and cornbread too- but it was the guac that stole the show Sunday night. On Sunday afternoon I was sure that I had made too much of the yummy green stuff and was already mentally planning inventive dinners using the leftovers for later in the week…but no! It was all eaten up! 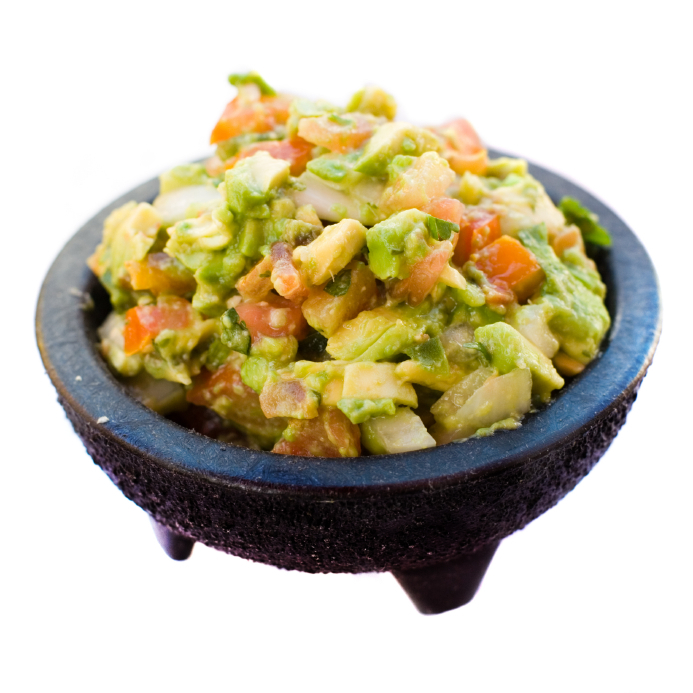 Often when I serve guacamole, I out source it to a local Mexican restaurant or Whole Foods. But, on Sunday evening, as I scraped the tablespoon or so of my homemade guac from the serving bowl, I realized that outsourcing this of all dishes is silly. Guacamole could not be easier to make- and everyone loves it. And, when you make it- you get to decide what goes in and what stays out. You can make it very spicy-or less so, depending on your palate. And the best part is, everybody loves it! Note: Consider this recipe a template and make it yours. If you want more onion-add it. Hate cilantro? Don’t put it in. Love it spicy? Add more jalapeno. I guarantee no one will notice and it will all be eaten up at the end of the evening! Peel and mash avocados, garlic and lime juice with a fork until desired consistency. Fold in tomatoes, onions, jalapenos and cilantro. Season with salt. Serve you’re your favorite corn chips. This entry was written by Caroline, posted on November 2, 2010 at 5:43 am, filed under appetizers, good times, super speedy fast, vegetarian. Bookmark the permalink. Follow any comments here with the RSS feed for this post. Post a comment or leave a trackback: Trackback URL.